Do we use our life well? Why Marchionne's final exit left us all wondering. I happened to be travelling from Switzerland to our holiday home in Sicily in the days leading up to Sergio Marchionne’s unexpected death. From north to south, from the nearby Zurich Universitätsspital where he was being treated, across the border and down to the south of his home country, not one channel, newspaper or radio station missed to worry about Sergio’s health. In a genuine, incredulous effort to give an explanation to the unbelievable. On Wednesday, the man who fixed Fiat, Chrysler and Ferrari, Sergio Marchionne, died at age 66. As I reported the news to my father, who had been checking the news daily, during a stroll in a local shopping center, I was met with a deeply sad and incredulous stare, his own, and those of about four other clients who just happened to walk past us as I spoke, and gathered around me in disbelief. The genuine sadness and incredulity struck me. Why has his death hit a nerve and left such a strong mark? Is it because he was a world famous Italian? He wasn’t the only one, luckily. Is it because his departure was premature and sudden? It’s not the only one sadly. Perhaps because his fame went well beyond automotive? Italy has an incredible number of outstanding brains across many sectors, but the commotion seen in the last few days is reserved to very few. If the departure of Sergio Marchionne has hit deeply Italy’s sensitivity – a nation that these days loves to come across as insensitive, lying to itself – the reason lies elsewhere. It is perhaps the most simple, deepest yet most difficult reason to confess. Successful, rich, envied, he departed unexpectedly, leaving everything behind. Wealth and rags: affluence, success, envy and flattery. Instinctively, we wondered: if everything is so fast and drastic, are we using our life well? Our time is limited and we must use it well. “Be like gardeners: invest your energies so that everything you do will last a lifetime or longer”, he said two years ago in a speech addressing university students in Rome. 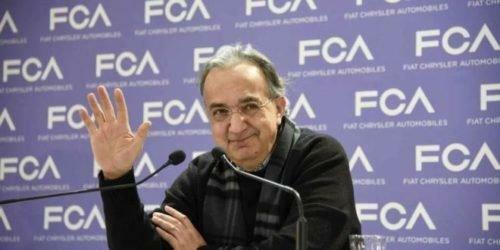 Why did it have to be Sergio Marchionne to remind us of all this? Because, accordingly to the world’s standards, he had so much: power, fame, money, admiration, the dynamism of the new, long “middle age” – and with so much he had to depart, abruptly. It made us all more humble, in a time proud of its own arrogance. Thank you old boy, with your ever present sweater.